Nobody who lives in Lakewood, Ohio complains about the lack of great food options. From award winning burgers and pizza to cultural favorites that allow you to sample food from all around the world… to franchises like Melt and Aladdin’s Eatery, which got their start in Lakewood … there are so many great options. 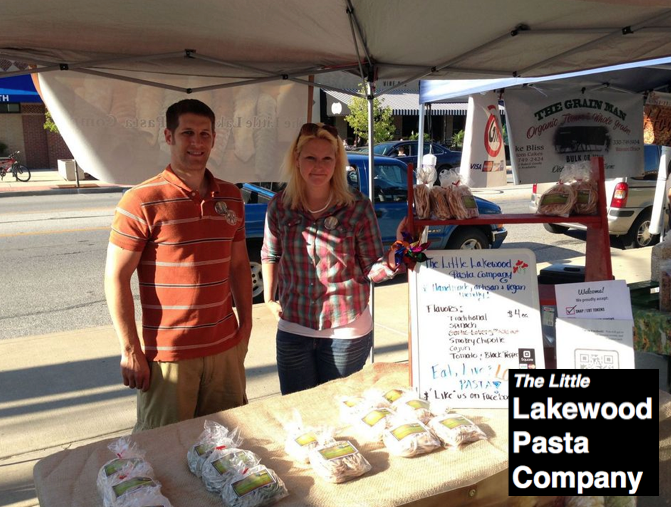 John and Megan Manning of the ​Little Lakewood Pasta Company are among Lakewood’s growing group of food entrepreneurs, and they’re here to tell you how they got started — and what keeps them continuing to thrive. Join us for a curated discussion on what it takes to build, launch, and grow a food-based business here in Lakewood, Ohio. You’ll learn from John and Megan’s experiences first-hand, plus will get a sneak-peak of their soon-to-be-opened storefront! Please note that this event will take place on a Monday, not the usual Tuesday meetup. As always, all Startup Lakewood events are free and open to the public.